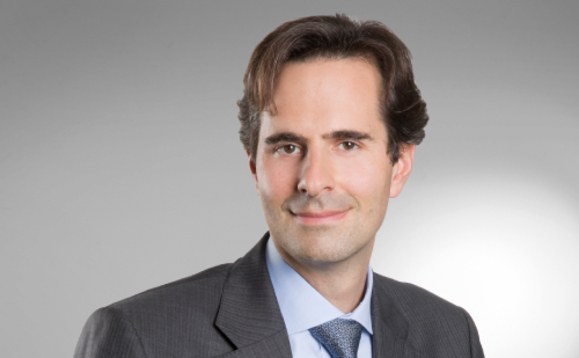 Thomas de Saint-Seine, senior systematic equity fund manger at RAM Active Investments, will outline apathway through emerging market equities, when he presents at the upcoming Nordic Summit Stockholm 2019, being hosted at the Grand Hotel on 12-13 March in the Swedish capital. This is an assest class that over the past year has faced rising US interest rates, the strength of the dollar and trade tensions, which has left a valuation gap between emerging and developed market equities. Saint-Seine will outline how an all cap systematic approach can identify the best EM stocks based on fundamentals, whilst giving access to an approach that is beta neutral and defensive in its qualities - compelling should market volatility continue. Saint-Seine is the CEO, a senior systematic equity fund manager and a founding partner of RAM Active Investments, which specialises in managing the investment funds grouped under the RAM Systematic Funds and RAM Tactical Funds brands. He initiated the research that underpins the management of the RAM Systematic Equity Funds. He is also a member of the Social Responsible Investment Committee. With two decades of experience in fund management, from 1996 to 2001, he worked as an equity and bond fund manager at Crédit Agricole Indosuez. In 2001, he joined the Reyl Group to fund and develop the fund management activity which has become totally independent since 2007 and is known as RAM Active Investments. He is a graduate of the University of Paris X (Econometrics, 1994) and the NEOMA Business School (Master in Management, Finance, 1996).